Prevention and Inactivation of Norovirus Contamination From Farm-to-Fork. Human norovirus causes more foodborne illnesses than any other agent, including all bacterial pathogens combined. These viruses are responsible for over 5 million cases per year, including 8,000-23,000 hospitalizations and 150 deaths. Norovirus food safety considerations are therefore very important to public health. 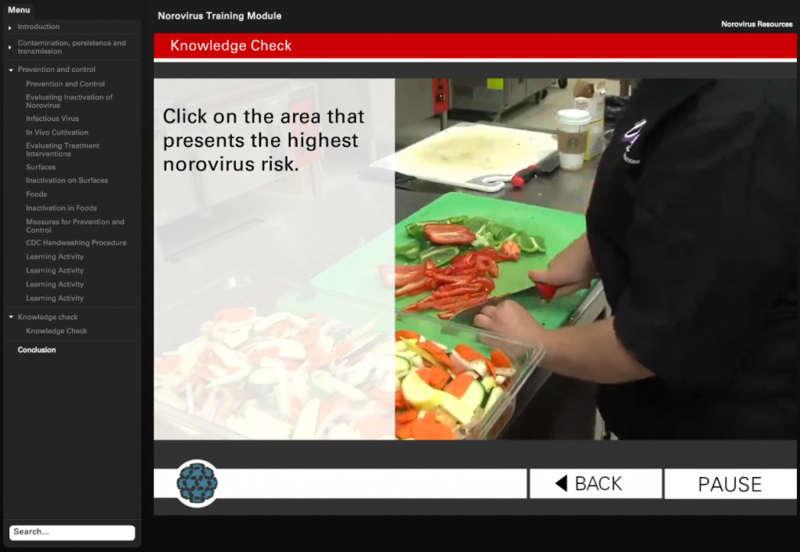 Click here to learn more about this course on norovirus food safety.